Why are these double notes labeled 'contrary motion'? In my PDF version of Slonimsky's Thesaurus, there's a section called 'Double Notes in Contrary Motion' on page 215. Can anyone explain why he is calling these contrary motion? To me, apart from the very last example no. 343 (at the bottom of page 217), they all seem to be either similar or parallel motion. I'm sure I must be missing something obvious. 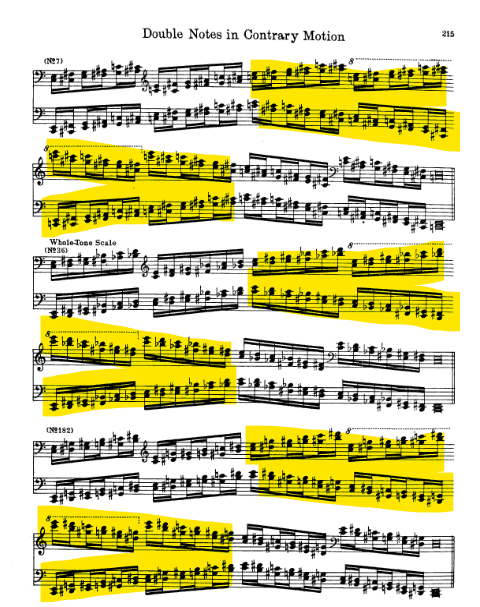 Are the accidentals counted as a single note or double notes? Are the names for these chords valid? Why do these two guitar notes create a warble sound?